Based on technology developed by CG2® and Quantum3D® for U.S. Army Research Development and Engineering Command (RDECOM), the ExpeditionDI dismounted soldier system provides the U.S. Army and system integrators with a fully functional, high-performance, man-wearable, embedded training/mission rehearsal system for dismounted and mounted infantry. Nearly 40 percent1 of dismounted infantry fatalities occur during the first three months of deployment; and the most dangerous time is when soldiers are in a new environment and simultaneously experiencing combat for the first time. 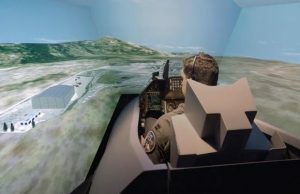 In order to better train our soldiers and reduce the number of fatalities, Quantum3D’s ExpeditionDI was developed specifically to provide both individual war fighters and infantry squads the opportunity to train in a virtual environment, exposing them to contemporary operational environments (COE) as well as the cognitive demands of combat both before and during deployment. ExpeditionDI represents the industry’s first self-contained, wearable and fully-immersive close combat infantry simulator training platform. 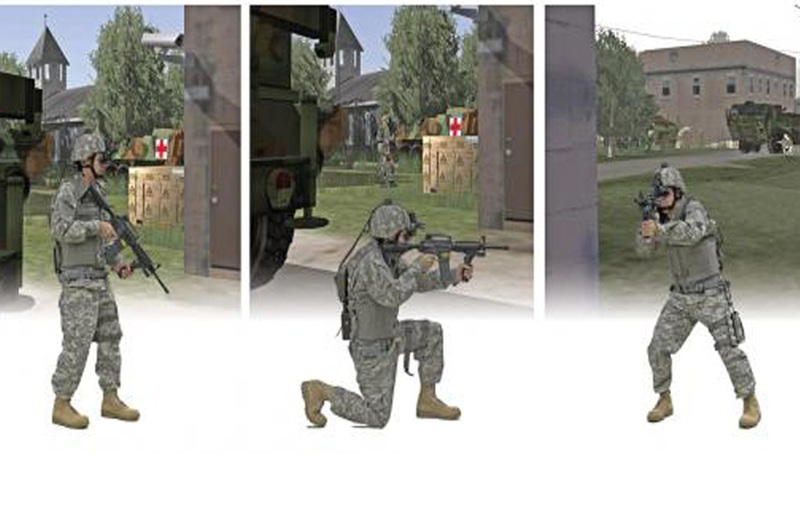 The system’s advanced correlated motion and integrated sight/sound capabilities enable an infantry squad to move through and interact with a virtual environment while fighting and communicating as they would in a real-world combat situation. 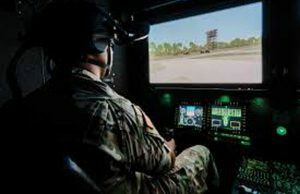 ExpeditionDI responds simultaneously to multiple body and weapon movements, providing a realistic, immersive 3D training experience deployable on-base or in-theater. InterSense worked closely with Quantum3D to assure the InertiaCube sensor technology was correctly integrated to meet the requirements of the ExpeditionDI dismounted infantry training system. Two InertiaCube 2+ sensors are used to measure the user’s head and body motion, while the wireless InertiaCube 3 sensor was integrated directly into the weapon to measure its movement and capture trigger signals, making the weapon a completely tetherless device. The performance of the sensors enables the training session to be as realistic as possible, thus better training the soldier for those critical first three months.